The Andean Hills of the Tapichalaca Reserve are the site of many new species discoveries. Photo © Nigel Simpson. Latin America is the world centre of plant diversity, and with habitats being lost before our eyes, this presents enormous conservation challenges. 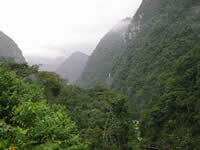 Tropical Latin America has twice as many plant species as tropical Africa and tropical Asia combined. Many people imagine that this diversity is concentrated in the vast Amazon rainforest, but in fact the greatest concentration of plant species in tropical South America occurs in the Andes Mountains. It is not well known that the northern Andes have about the same number of plant species as the Amazon basin, even though they only occupy one twentieth of the Amazon’s area. While the Amazonian rainforest is very diverse it is also fairly homogeneous. Two areas 100 km apart are quite likely to have very similar species. In contrast, two areas in the Andes 100 km apart may share few species, even if they are at the same elevation. If the two areas differ in elevation by a few hundred meters, they will share few species even if the areas are on the same mountain. The changes in plant composition from one mountain to the next, or from one elevation to the next, are partly due to changes in microclimate and geology, and partly due to dispersal limitation. 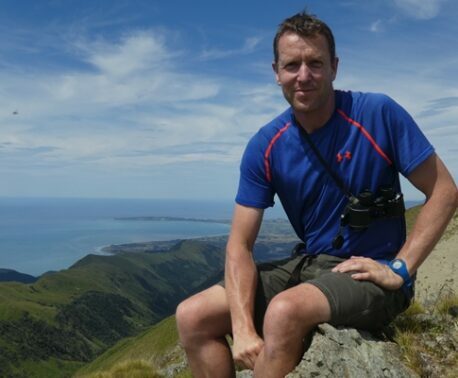 Mountains are ‘islands in the sky’, and endemic plants evolve on them just as they do on isolated oceanic islands. Adiciones a la flora del Ecuador, a new book by David A Neill and Carmen Ulloa, which features the latest additions to Ecuador's flora. With so many locally endemic plant species, the Andes require a different conservation strategy for plants than for birds or mammals. Large national parks provide refuges for birds and mammals, but the mountains between the parks have their own unique endemic plants that also need protection. For plants, smaller private reserves can play a key role. In Ecuador, two World Land Trust partner organisations, Fundación EcoMinga and Fundación Jocotoco, have established reserves which protect important concentrations of locally endemic Andean plant species. These reserves are not only centres for conservation of known endemic plant species, but are also exciting sources of new discoveries. In what are now the EcoMinga reserves, my colleagues and I have discovered dozens of new orchid species over the last 14 years, along with several tree species and other new plants. The reserves were purposely chosen to cover strategic microhabitats with high plant endemism. In the Jocotoco reserves, especially the Tapichalaca reserve, there have also been many exciting new plant discoveries. The reserve areas were chosen to protect very local endemic birds, but sites that are unusual enough to support endemic birds often support unique endemic plants as well. There are very few places in the world today where so many new species of plants can be discovered in such small areas. This is a tribute to the astonishing diversity of the Andes, but also a tribute to the strategic locations of both the EcoMinga and Jocotoco reserves. In both sets of reserves, there are many more new plant species that have been discovered recently and are waiting to be described, and we can be sure that there are still many other new species as yet undiscovered in these amazingly special places. 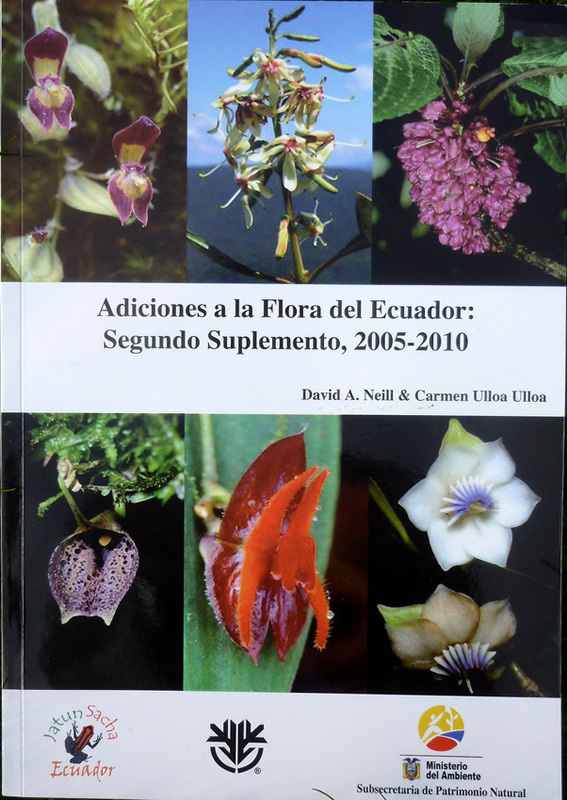 A new book has been launched by neotropical botany experts, Dr David Neill and Dr. Carmen Ulloa, entitled Additions to the Flora of Ecuador, second supplement 2005-2010. It is a supplement to the original publication in 1999 Catalogue of Vascular Plants of Ecuador (Jorgensen and Leon-Yanez) and is a valuable addition to the Libro Rojo de Plantas Endemicas del Ecuador 2000 or Red Data Book of Endemic Plants of Ecuador (Valencia, Pitman, Leon-Yanez). The Red Data Book was a pioneering work; it was a list of all the endemic plants of Ecuador along with their conservation status and was one of the first publications to extensively cover Tropical Flora. 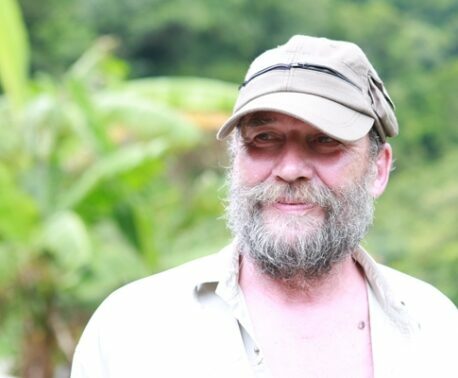 David Neill’s and Carmen Ulloa's publications are important additions, bringing the Ecuador plant list to 18,198 species of vascular plants, of which 17,683 are native species, and of these about 5,400 are endemic to Ecuador. David has worked not only in Fundacion EcoMinga’s reserves, discovering with me the new tree Meriania aurata, but also in Fundación Jocotoco's, visiting their Tapichalaca reserve on the east slopes of the Andes. In Tapichalaca he found a new species of tree (yet to be described) and set up a one hectare study plot in the reserve for some of his students to monitor the long term species content and changes. He has established a similar study plot in F. EcoMinga’s Rio Anzu reserve. Neill and Ulloa's new book is an important addition to Ecuador’s plant list and a celebration of the beauty and diversity of the country’s impressive array of flora species.